The SALCA by Sea Shield Marine combines an anode with a line-cutter providing dual protection for your prop shaft driven vessel. The Sacrificial Anode Line Cutter Assembly (SALCA) is the first unit to combine a sacrificial anode and disc line-cutter to give you dual protection against corrosion and propeller entanglement. 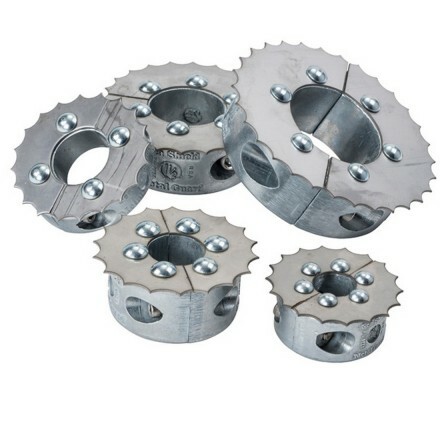 By combining an extremely durable stainless steel disc line cutter to their already reliable MIL-SPEC anodes Sea shield were able to eliminate the difficult installations and constant maintenance headaches associated with traditional line-cutters. With the SALCA, you get an all-in-one unit that&apos;s easy to install, requires no maintenance, and is made with the highest quality materials. The SALCA uses only the highest quality materials and alloys to make sure that you have a durable unit that will stay efficient through the life of the product. Go to Sea Shield for more detailed information.